This timeless piece is sure to become a staple of your wardrobe for years to come. 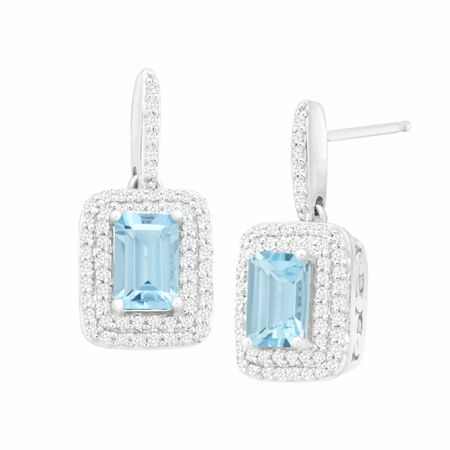 Two emerald-cut natural aquamarines totaling 1 1/10 ct sit amidst a glittering pavé of diamonds totaling 1/3 ct in a setting of 14K white gold. Pieces measure 3/4 by 3/8 inches.